These days there are numerous threats to safety for organizations such as natural disasters, severe weather, or threats of violence. It is important for facilities to be ready if and when these crises arise. One way to be ready is to be able to communicate effectively during these emergencies and direct people to a place of safety. Since power often goes out during emergencies, a Portable Sound System is a great way to communicate vital information. 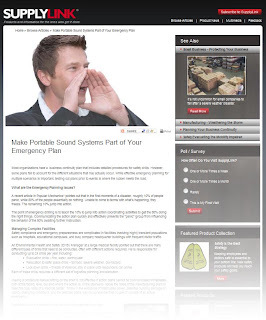 SupplyLink has more information about how a Portable Sound System could help during an emergency situation. Most organizations have a business continuity plan that includes detailed procedures for safety drills. However, some plans fail to account for the different situations that may actually occur. While effective emergency planning for multiple scenarios is important, testing out plans prior to events is where the rubber meets the road. What are the Emergency Planning Issues? A recent article in Popular Mechanics* pointed out that in the first moments of a disaster, roughly 10% of people panic, while 80% of the people essentially do nothing. Unable to come to terms with what’s happening, they freeze. The remaining 10% jump into action. The point of emergency drilling is to teach the 10% to jump into action coordinating activities to get the 80% doing the right things. 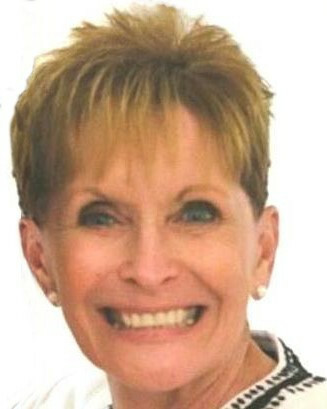 Communicating the action plan quickly and effectively prevents the “panic” group from influencing the behavior of the 80% awaiting further instruction. To finish this article, please click here. Receive Updates and Tips on Disaster and Emergency Preparation by Joining Facebook Community!